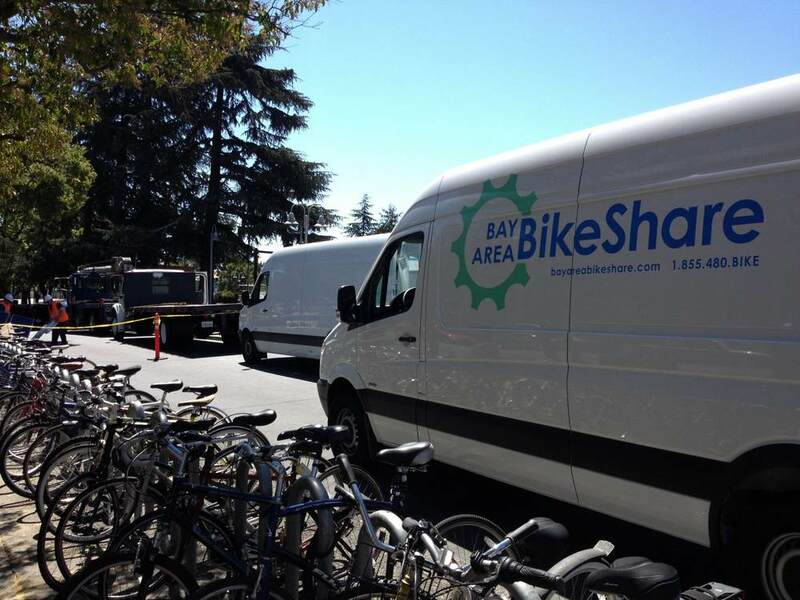 Bay Area Bike Share stations continue to pop up in Palo Alto and Redwood City, according to the social media buzz. Bruce Halperin spotted crews with the van shown in the above photo installing stations at the Palo Alto Caltrain station. 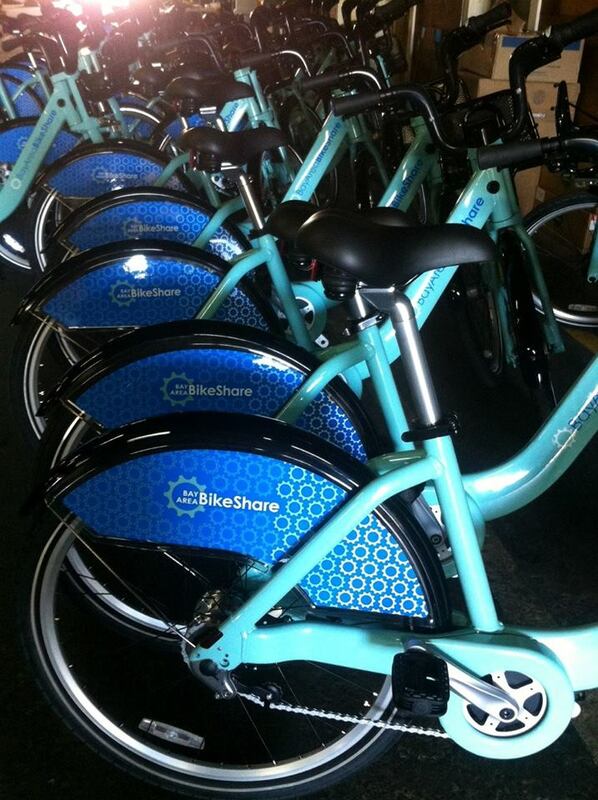 As we reported, San Francisco’s stations are due to start rolling out next week. A photo showing the first glimpse of the bikes dressed up and ready to go in the warehouse was also posted on the official BABS feed. That’s nice to know. Where did you read that? The third station in Palo Alto (apart from the Caltrain station and the one pictured) sits atop a parklet-like deck and faces the sidewalk. I’m surprised this one wasn’t built the same way. Drivers are so horrible that, while texting, they may hit someone on the side of the road because people should steer clear of a car’s god-given right to all pavement. Can we talk about real things now? Maybe like how this rollout is ungodly small and we need more bikes/stations ASAP? No, the color is fine. Not everything needs to be in IO. I also sent them an email and they said they tried it but it didn’t work. I can’t wait till they add more bike’s to the program, its really needed.